Carnevale, Italy’s carnival or mardi gras, is celebrated 40 days before Easter, the day before Lent begins. Although Venice holds the most famous Italian carnival events, there are parades and festivals almost everywhere in Italy, some of them very unusual. Many carnevale celebrations are held the weekend before Shrove Tuesday, the actual carnevale date, but some start two or three weeks in advance. Upcoming Carnevale dates are March 5 in 2019 and February 25 in 2020. If you’re in Italy on one of these dates, don’t miss the chance to go to a carnival festival. An Italian saying is a carnevale ogni scherzo vale or at Carnival, anything goes. 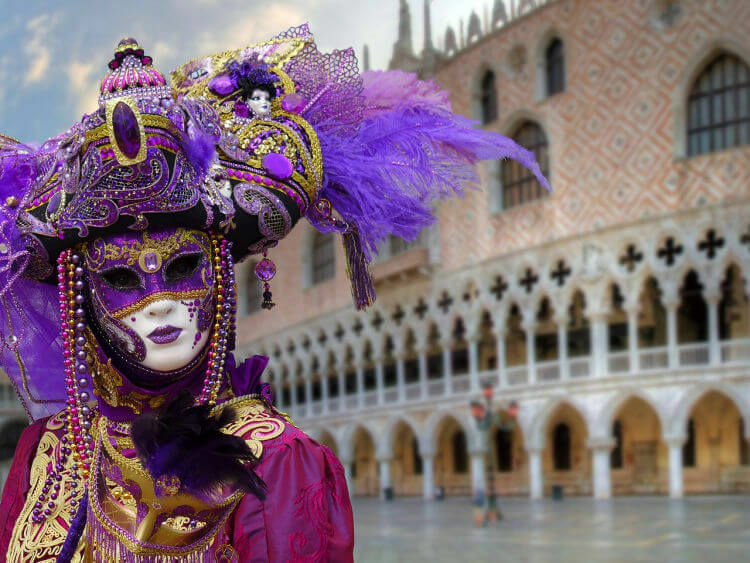 Venice is known for its elaborate costumes, carnival masks, and costume balls and parties. During carnevale season, which starts 2-3 weeks before Shrove Tuesday (February 16 – March 5 in 2019), people in costumes can often be seen walking around town. Mass-produced masks are for sale all over but for a good quality souvenir, visit one of the artisan shops. Events and entertainment are held nightly throughout Venice, although the biggest events are on the weekends and the actual day of carnevale. Top public events include gondola and boat parades along the Grand Canal, mask parades in Piazza San Marco, and of course a big fireworks finale on the final night. Be sure to book your Venice hotel in advance as the city can be very crowded during this period. While you’re in Venice, see the highlights on the small group tour, Venice highlights with gondola ride. 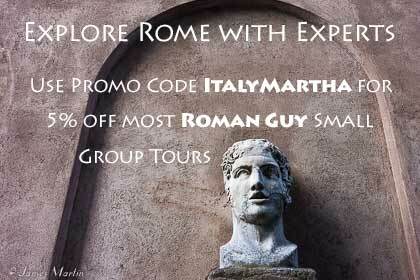 Use promo code ITALYMARTHA for 5% discount when you book online. 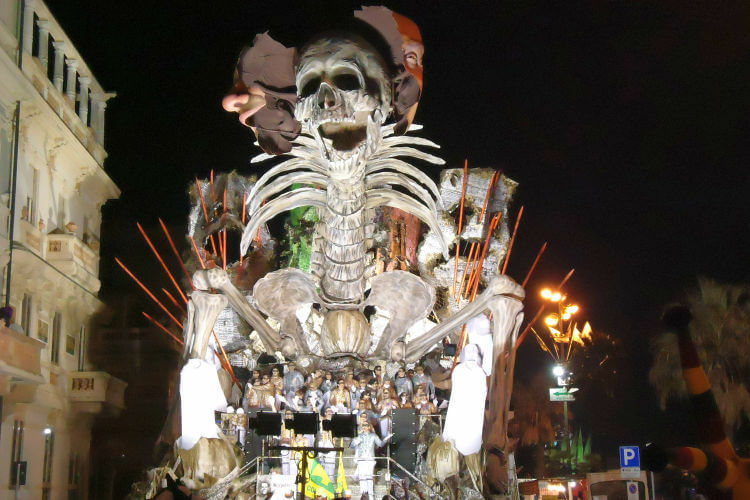 Viareggio, one of Tuscany’s biggest coastal resort towns, is known for its huge parades featuring large allegorical floats made of papier-machÃ©, performers, and bands. The parade route goes along the seaside promenade and parades are usually held the day of carnival, the 3 Sundays before, and one Saturday night. Concerts, food stands, masked balls, and fireworks are also part of the festivities, drawing thousands of people. Viareggio also has a Carnival Museum, Cittadella del Carnevale di Viareggio, usually open Saturdays and Sundays from 3:30 to 5:30 PM. 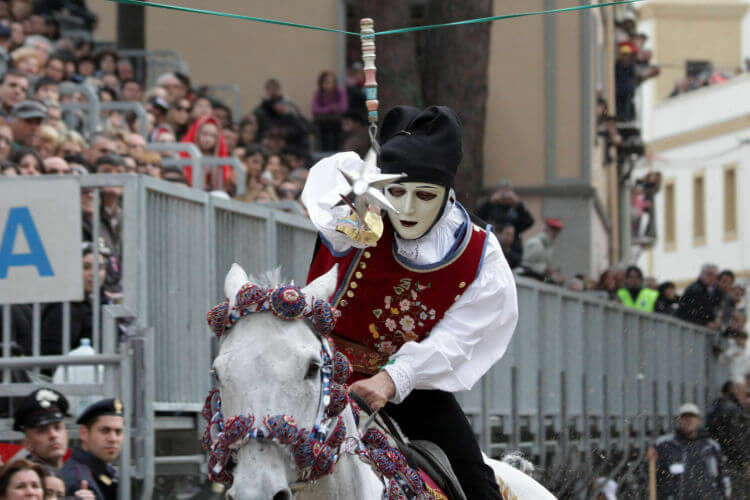 An unusual carnival event with medieval roots takes place in the town of Ivrea, in the Piedmont region. A colorful parade with people dressed in period costume starts the celebration. 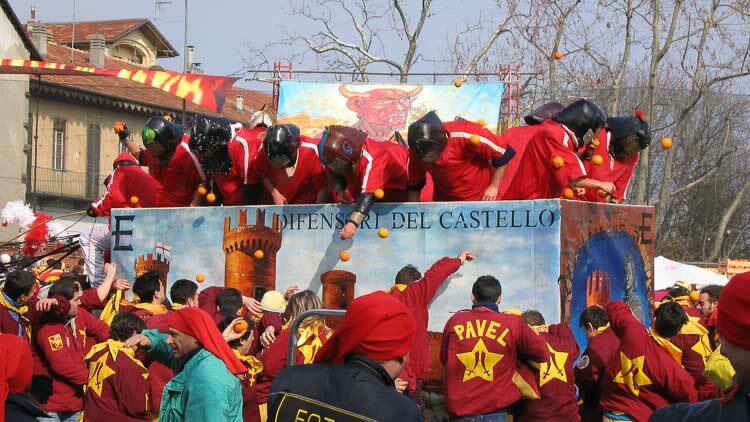 The main event is a huge orange-throwing battle in the center of town, with representatives of the different districts throwing oranges from decorated carts, a recreation of a medieval battle. Orange battles take place on Sunday through the Tuesday of Carnevale, culminating in the burning of the scarli (big poles covered with dry brush that are put up in the middle of each district’s square) to end the carnival season. 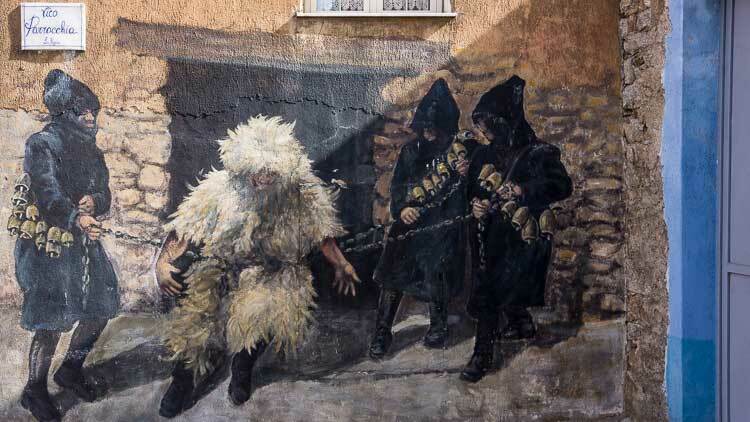 The island of Sardinia has some of the most unusual carnivals, based on ancient traditions and folklore. One of the top festivals is Sa Sartiglia, an equestrian carnival and re-enactment of a unique medieval jousting tournament in the west coast city of Oristano. Riders dressed in beautiful costume gallop on horseback and try to spear a star hanging over the track. One group of 60 riders participates the Sunday before carnival and the second group on Tuesday. Before the horseback event, there’s a parade with people dressed in traditional costume of their village and following there are equestrian acrobatics. On Monday, there’s a children’s version called Sa Sartigliada that’s fun to attend since you can get closer to the riders. animals. Shepherds turn into their bulls or sheep. One of the best villages to visit during this period is Mamoiada, known for mask-making. Groups of 12 men called Mamuthones, dressed in black sheep costumes with grotesque wooden masks and huge cow bells, move along the streets herded by an Issohadore, a young man in white with a lasso which he uses to lasso people in the crowd. 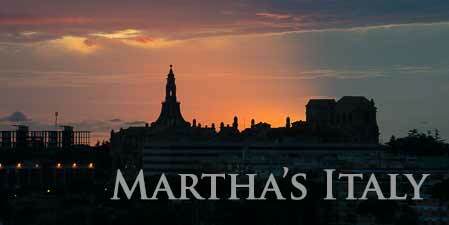 When the Mamuthones leap the sound of their cow bells casts away the evil spirit. It’s an eerie spectacle.